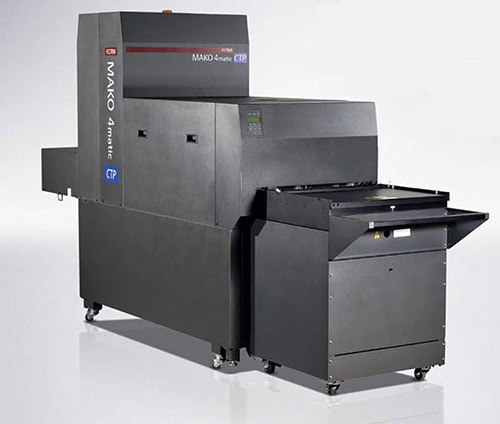 ECRM Mako CtP machines are violet laser imaging devices for use with violet light sensitive printing plates. The machines are configured with a postscript RIP to allow the rasterizing of bit map images quickly and efficiently and with a wash and gum unit for the printing plates post imaging. ECRM Mako systems are renowned for their reliability and low cost of ownership. The systems are available both new and second hand.